If this is your second marriage or you decided to hold off on getting married until later on in life, you may not feel like a white wedding gown is the right choice for you. 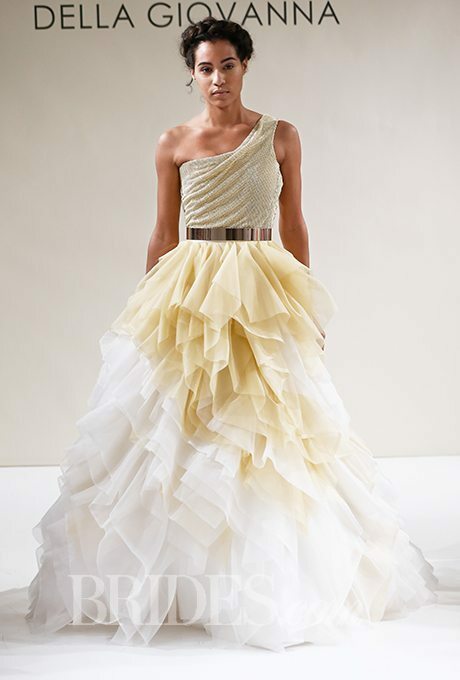 But, have no fear, there are tons of beautiful dresses full of colorful, bridal style. We’ve already shown you a gorgeous selection but we’re back with more stunning options below! A peek of lavender shines throughout this gorgeous and whimsical wedding gown. 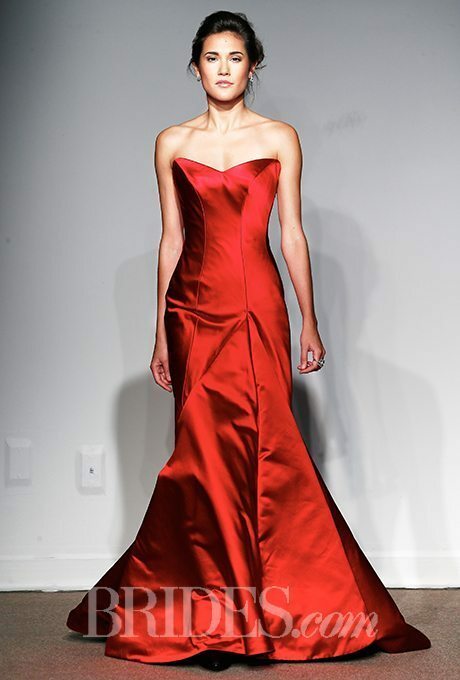 Vibrant and bold, show a little passion in your vow renewal ensemble with a pop of deep, rich red. Gold and yellow hues highlight this stunning design. How beautiful will this look on the dance floor! 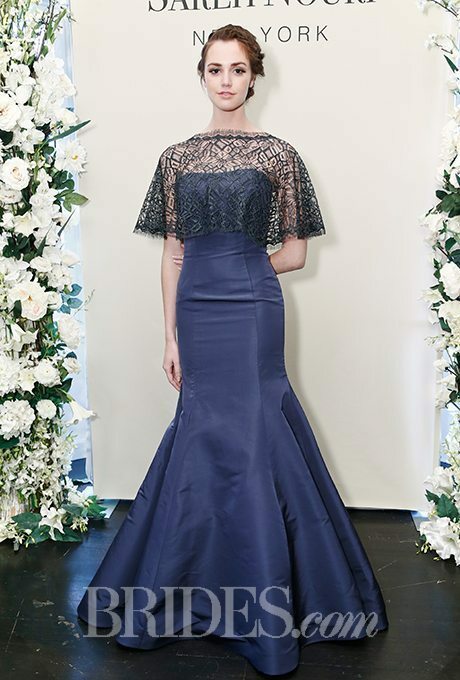 Blue and textural, this not only looks like a gorgeous dress to renew your vows in but also a red carpet stunner. Wearable art in every form of the words, this ball gown looks to be like a watercolored canvas. 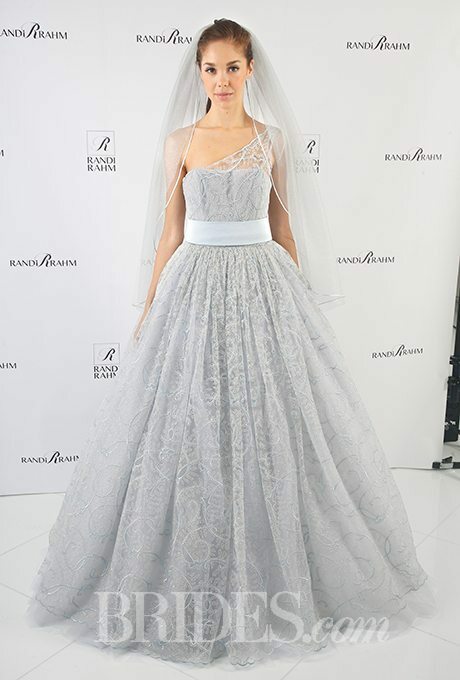 If you’re celebrating in winter, why not try this gorgeous, gray ball gown on for size? A navy blue and sophisticated, body-hugging gown could be exactly what you need for your big night. Here’s a bohemian beauty that we’re loving as it’s so versatile but still very bridal-like. Sparkle and shine cover this minty green design that is extremely complimentary on a large variety of skin tones. 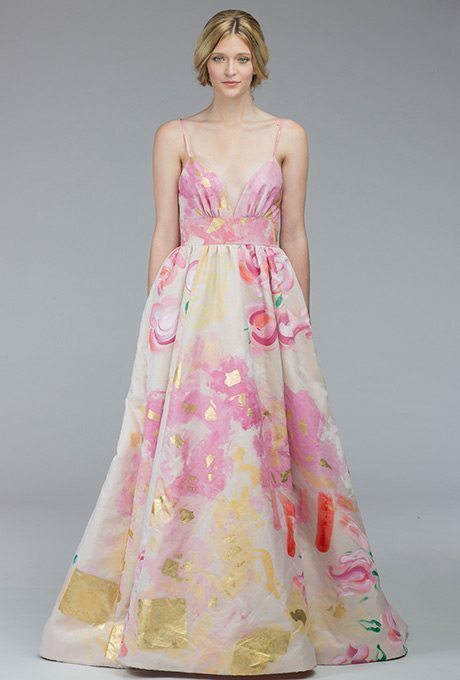 Completely unique and straight from a fairy-tale, this gown reminds us of a blooming spring tulip. We’re in love!